This course is for parents and guardians who view their separation as high conflict. For some parents, the level of conflict makes direct communication difficult or impossible. Other parents may experience periods of high conflict alternating with periods of collaborative parenting. High levels of conflict between parents will always negatively affect children. 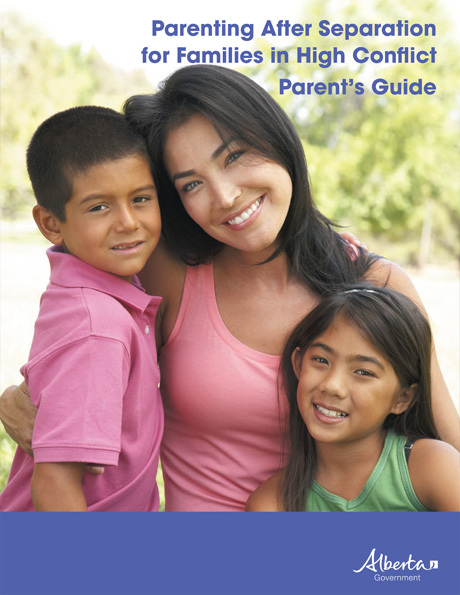 This course is an addition to the Parenting After Separation course that you previously completed. You will remember that Parenting After Separation emphasized the need for parents to work together to raise their children after separation. This course teaches additional strategies to help you reduce the level of conflict in your parenting relationship and will help you to minimize the negative impacts of parental conflict on your children. This course will take approximately three hours for you to complete.